The mistake frequently made by many companies in social media is to hurry to create a Facebook page or a Twitter thread without having done proper planning. Possible results range from waste of resources to poor performance. A social media strategy is essential if you want your investment to be profitable. Here is a checklist of key elements to integrate with a social media strategy. Using key employees, determine the main goals of your social media presence. Is it about attracting more customers? To promote the recognition of your brand? To improve customer service? Depending on your goals, decide how you will measure your success in social media (e.g. number of visits, subscribers and comments, extent to which you exchange your content, potential new customers, etc.) and set yourself targets to be achieved. Determine your target audience and the extent to which they are receptive to different social media platforms. Focus your efforts at the beginning on the platforms most likely to be used by your audience, and experiment at the same time. Consider the kind of content that will seduce your target audience. Aim for the balance between entertainment and information. Above all, avoid the excessive self-promotion – a fatal mistake in social media. How do you design your key messages? Use your knowledge and data that you have collected, organize a newsgroup, or look for professional advice. But do not rely solely on your intuition, which might deceive you. Your content should encourage your fans and subscribers to interact with your business and ultimately become or remain your customers. To do this, it will have to present the human side of your business and offer benefits to subscribers, such as information, advice or entertainment. From time to time, you can go further and initiate direct calls to action by asking people to buy a new product, to take advantage of a special offer or to subscribe to your newsletter. Now you are ready to create your action plan. Who’s doing what? The tasks you have to assign to your organization include tracking traffic in social media, creating content, and displaying it on your sites as well as other social media sites. Assign adequate resources to employee training and consider hiring a social media manager. Be sure to communicate your social strategy to employees and encourage the membership of all staff and management. Regular updates are the vital part of social media. Without them, you will be unable to weave the links you want with your subscribers. Establish a publication schedule by specifying how often each of the platforms will be updated and who will be responsible for them. Take stock of your existing virtual resources. It is crucial to provide content that readers find useful to enlarge the community of your social media. But you don’t have to create a completely new content. Indeed, you may already have a lot in your files to get started. However, keep in mind that existing content is not always enough. Successful businesses usually create new hardware for each social media platform. Track your efforts to see if you reach your goals. Also, review and update your social media strategy on a regular basis. 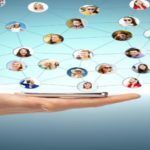 How to successfully communicate on social networks?